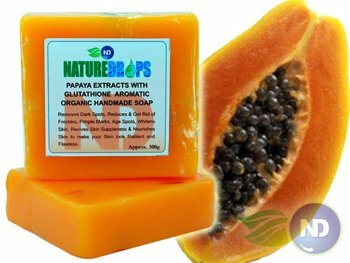 This Soap remove dark spots, reduces and gets rid of freckles, pimple marks, age spots, whitens skin, revives skin suppleness and nourishes skin to make your skin look radiant and flawless. Ingredients: Contains 60% Virgin Coconut Oil, Papaya Extracts, Glutathione and Botanical Extracts. Any OEM logo are welcome.